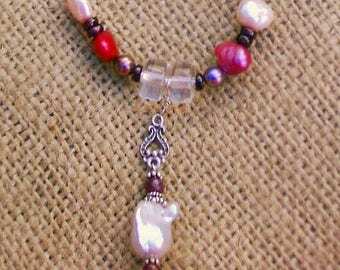 Custom-Made Designer Jewelry and Gifts from Oahu's North Shore!! NEW CUSTOMERS GET BONUS ITEMS IN YOUR ORDER! I freedive for all the seashells you find in my designs... Everything is hand-made with the greatest of care as your custom ideas are translated into reality. Please make a custom request by convo. Many beautiful options include jewelry, wire-wrapping, magnets, suncatchers, picture frames, mobiles.... and designer-cut cabochon gemstones for sale. 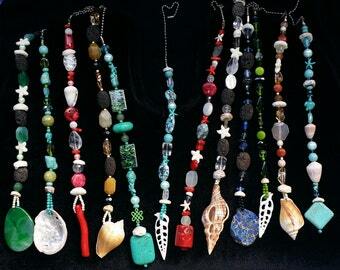 I specialize in Hawaiian Sunrise shells, loose or made into jewelry. Please see the listing for further information. 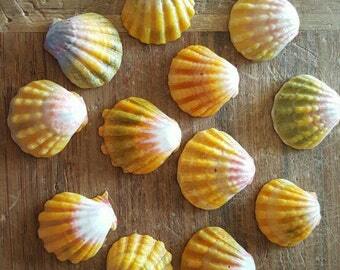 Also bulk seashell is available by custom order. If you live or are visiting the beautiful island of O'ahu, and would like to stop by and choose your own shells, please send a message so I can set up a personal appointment for you! Follow NorthShore Shells of Oahu on social media for updates, flash sales and giveaways! Paste this link in your browser to see my trade show display, March 2011, here in Honolulu...thanks for checking this out! I am also registered on Thumbtack.com as a space planner and interior designer. Please visit the link on my "About" page to see my profile and for further info on custom design services. If you are looking for a beautiful Hawiian Sunrise shell you won't be disappointed with the price or the product. The seller provided great customer service in a timely manner. Very happy with my purchase and I will definitely be purchasing again. fragrant like a beautiful Hawaiian flower. Thank you again. The Sunrise shells are beautiful!!! Packaged in a protective container that smells fragrant like plumeria or hibiscus or something fabulous. Great transaction! I’ve purchased from North Shores before and love her shells! Thank you! I am so glad that you all could just drop in, I acquired this huge lot of absolutely beautiful sunrise shells! Wanted to let everyone know that this is a golden opportunity for quality shells at a great price! Contact me for further details! Custom earrings! All sizes, colors, choose your design or mine. Anything goes! Great holiday gift and works well with my gift certificate. Check it out and send me a message, I'd love to hear from you ! Wear a piece of Hawaii every day. Alot of brand new shells just in, this is a small sample of the Hawaiian Moonrises! Please click on the red "E" to view more info and photos. Custom jewelry always available, just ask! Always great sunrise shells available! I started this shop as rehab for a disability and I have been freediving and making ocean-themed jewelry and gifts ever since (1996)! I let my imagination run free and craft all sorts of shell and seaglass designs for local stores and and for custom orders. I also make fan pulls, suncatchers, jewelry boxes, picture frames, magnets, and sell bulk shells (including the well-loved Sunrise Shell) and designer-cut gemstone cabochons for your crafting projects or events. Drilling of your shells and seaglass is available for a reasonable fee. I hope you enjoy browsing and will contact me with any questions. Mahalo for visiting! I freedive for all the shells in the beautiful, warm, clear waters of Oahu's North Shore. Lilli is my driller, picker, packer, shipper, she makes jewelry of her own and helps me when I'm overwhelmed.